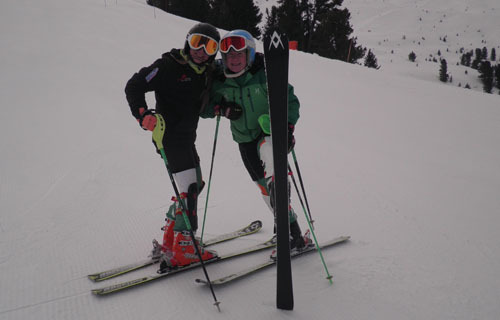 Had some great slalom training in Austria with my sister, Flo. It was the first time we have trained together since we were in New Zealand so it was great for us to be working with each other. The weather was lovely and I was really pleased with my skiing.